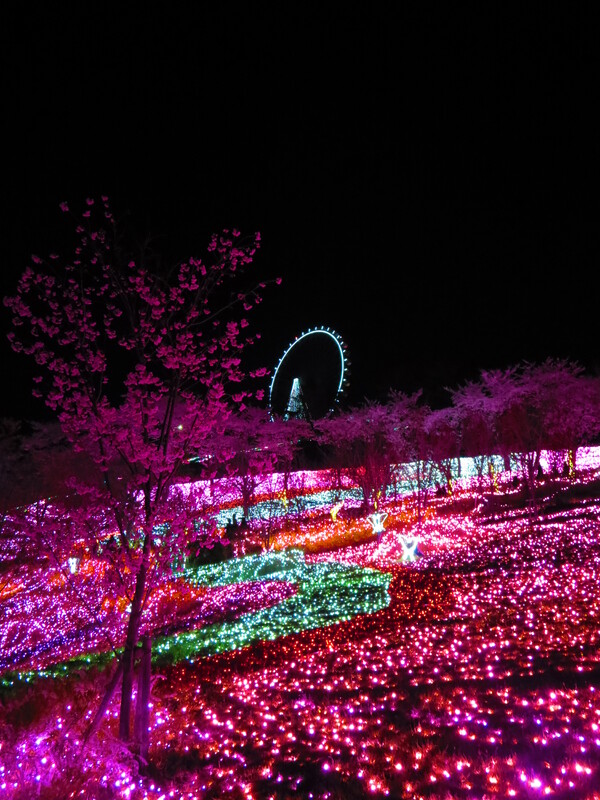 The very last of winter illuminations carried into spring, bringing artificial light to cherry blossoms on a moonlit evening in early April. Sagamiko Pleasure Forest, located about 60 kilometers from Shibuya in Kanagawa prefecture, is a small amusement park and family center. While it’s not exactly convenient to reach, Pleasure Forest is worth the effort. During the day, Sagamiko grants visitors access to its extensive attractions for the admission price of 1700 to 3700 yen, the latter price covering unlimited attractions.Paddington Bear is seen throughout the park as a mascot that feels a bit out of place. Points of interest include a Ferris Wheel, small rides, and entertainment. 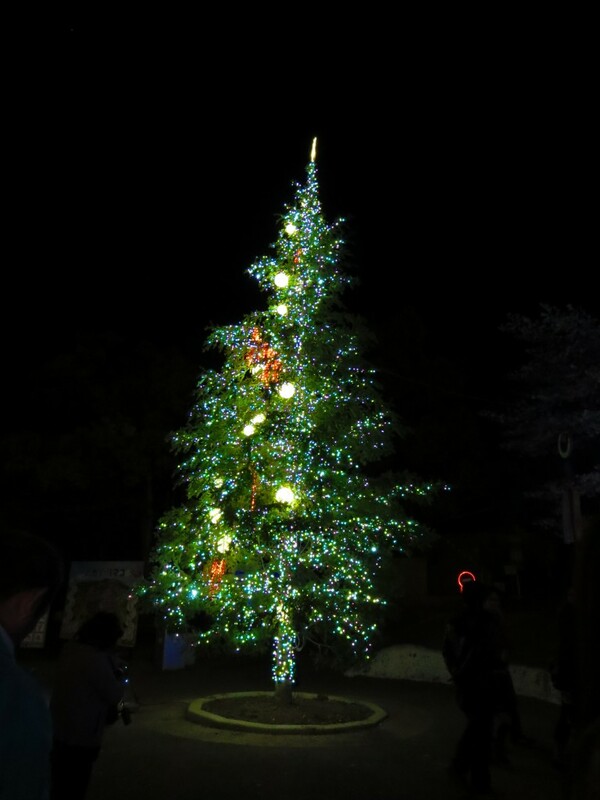 For this special occasion, the price of admissions to the illumination, from 6:15PM, was a bargain at 500 yen per person. 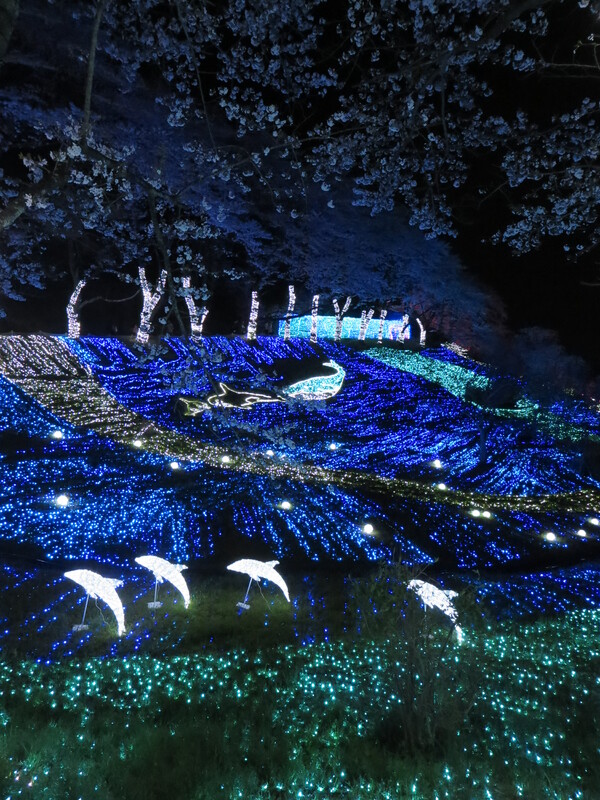 This was the fifth year for this event, which showcased the largest illumination in Kanto region. Even from afar, the lights shone brightly. However, only upon entering the park could visitors see closely the mesmerizing decorations. Once inside, the hillside was lit up in green, blue, and pink lights all the way up to the recreated Mt. Fuji on top of the hill. 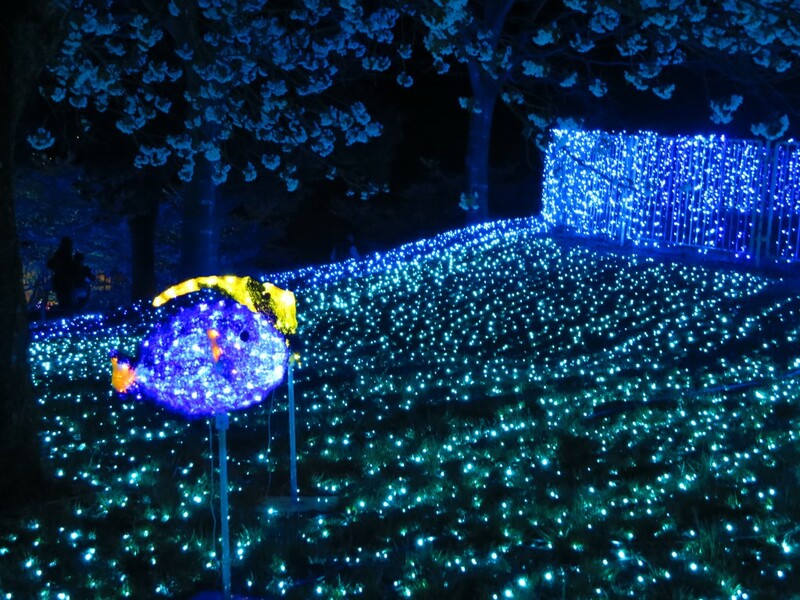 Decorations varied from a giant grounded UFO, with a periodic light show to a hillside illumination of aquatic animals and many displays in between. Visitors came in families, small groups, and couples to enjoy the beautiful, vibrant displays. A lift was available to take visitors to the top of the hill for what was most likely a spectacular sight (however, the lift tickets sold out early). 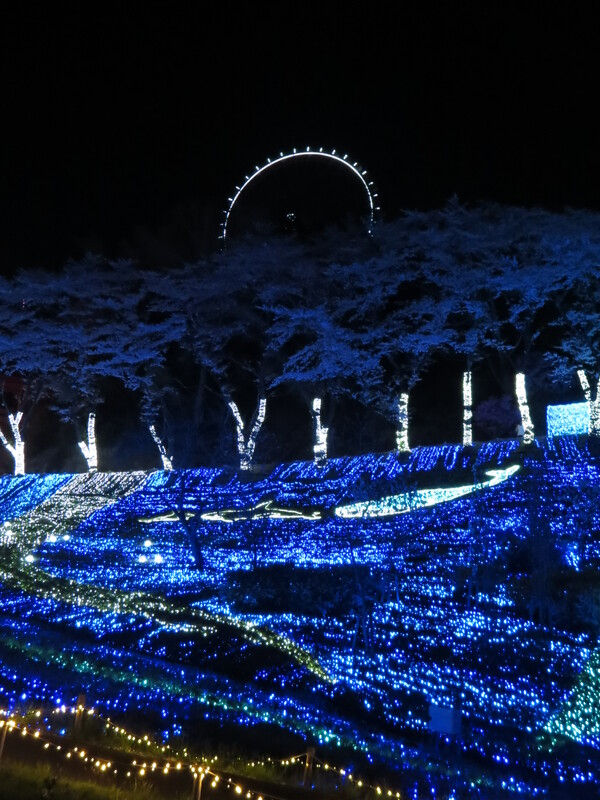 Not only was the illumination at Sagamiko Pleasure Forest captivating, but it was also available for almost half a year, which allowed visitors to enjoy the spectacle throughout the seasons. 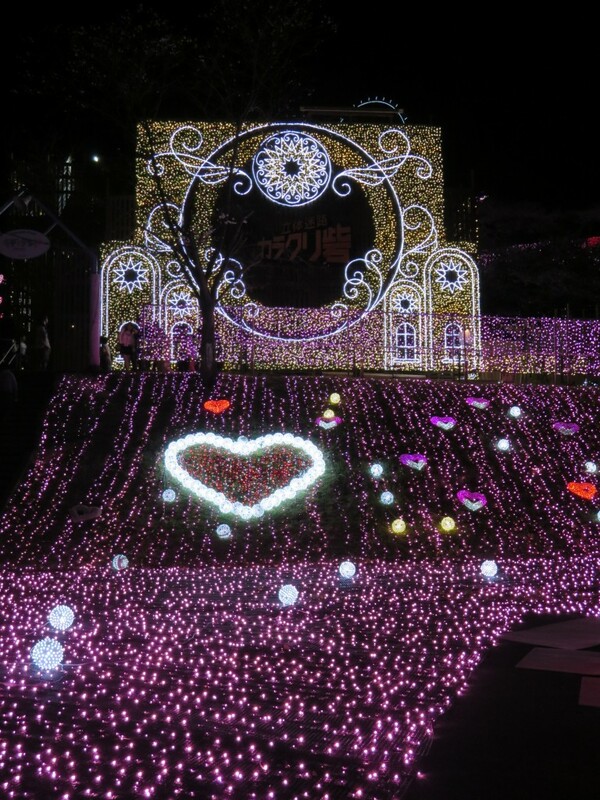 Although April 16 marked the last day of the illuminations, feel free to swing by in winter to witness the sixth annual lights.